A date for your diaries, folks – this Sunday November 5th at 19.15. 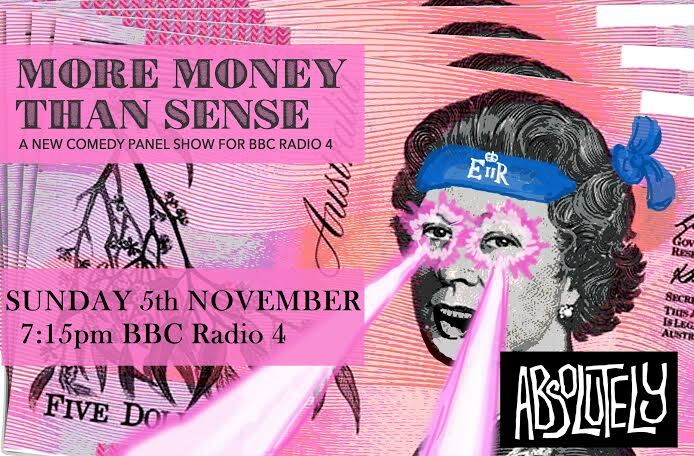 Ignore the fireworks and instead tune into Radio 4 for the pilot episode of More Money Than Sense, a new comedy panel show about finance and economics featuring Andy Zaltzman, Paul Sinha, Gráinne Maguire and Shazia Mirza, with yours truly as host. If you can’t make it, there’s always iPlayer. The record went pretty well, so it should be an entertaining 30 minutes.